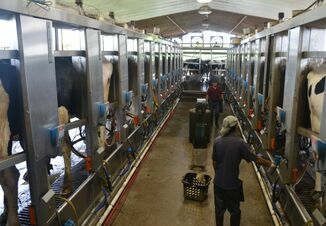 Dairy Margin Protection Program will have program payments in February. 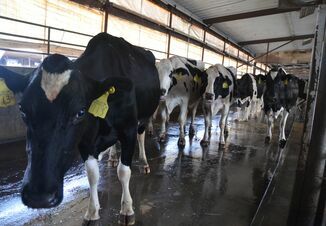 On the back of falling milk prices and increasing feed costs for dairy cattle, in February 2018 USDA’s Dairy Margin Protection Program (MPP) national dairy production margin fell to the lowest level since June 2016 at $6.88 per hundredweight. The February margin is down 15 percent from the prior month and down 35 percent from last year. The $7, $7.50 and $8 coverage options all triggered program payments for February. Farmers enrolled at the $7, $7.50 and $8 coverage options will be eligible for a program payment of 12 cents, 62 cents and $1.12 per hundredweight, respectively. For a farm covering 5 million pounds of milk, these MPP payment represents $500 for $7 coverage to nearly $4,700 for $8 coverage. The Bipartisan Budget Act of 2018 made several changes to the MPP program including making the program calculate margins monthly, increasing the catastrophic coverage level to $5 per hundredweight for some farmers, and significantly reducing the buy-up premium rates. Dairy producers are expected to be given an opportunity to re-enroll in MPP for the 2018 coverage year following these congressional modifications. MPP was authorized in the 2014 farm bill and offers dairy producers coverage against declines in the national dairy production margin, i.e. the difference between the national average all-milk price and average feed costs. For more information on MPP, visit USDA’s Farm Service Agency MPP landing page. An award-winning MPP decision tool, developed by University of Illinois-led National Coalition for Producer Education, is available here and may be used to forecast MPP margins for the remainder of the 2018 coverage year.